Of all the places to go for some fun in the sun, Mozambique should rank high on your shortlist. Perfect weather, prime coastal setting and superb facilities to boot, it doesn’t get any better than this country on the south east of Africa. And for the ultimate island escape, the Quirimbas will no doubt delight the discerning day tripper. 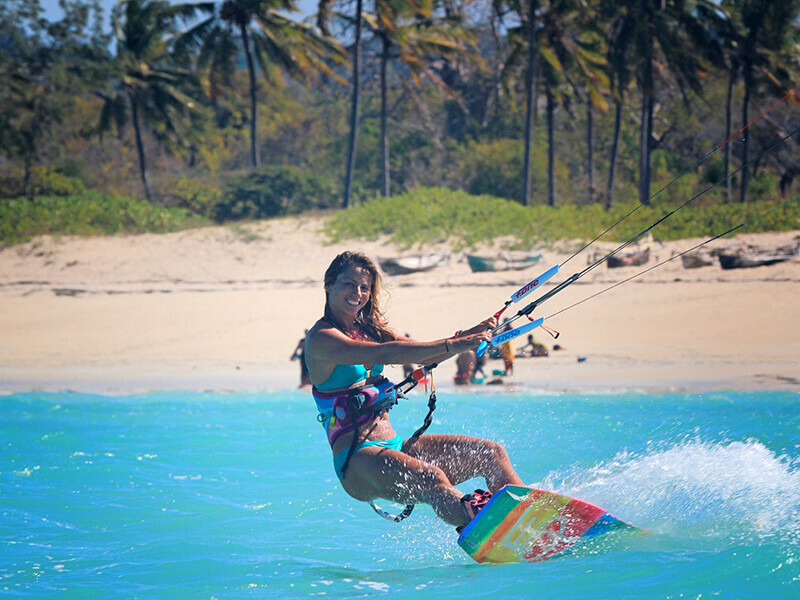 Among the myriad of activities available in this region, kite surfing at Quirimbas Archipelago is definitely something to consider. 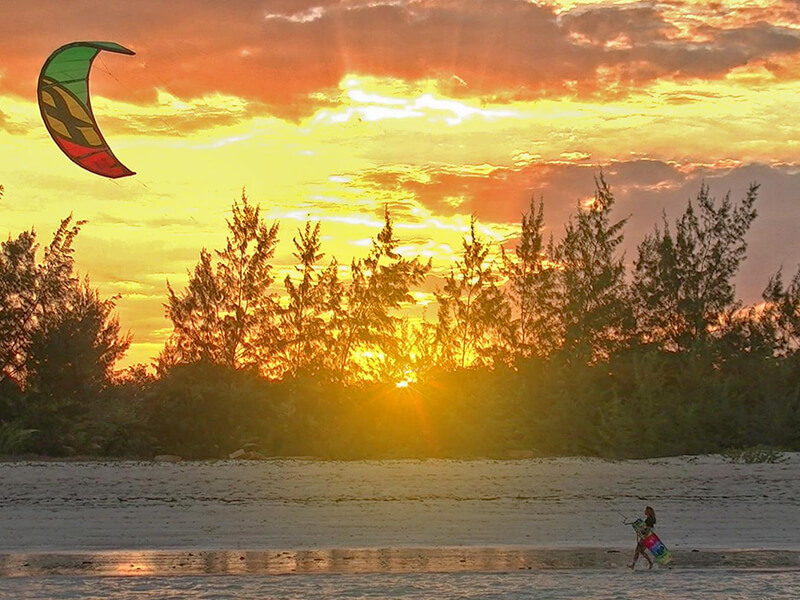 What makes the Quirimbas Archipelago a premier kite surfing destination, you ask? Well, for starters, this string of islands, 32 of them, benefits from year round trade wind conditions that make kite surfing possible pretty much anytime. But of course, there will be an occasional break in the wind, allowing you to enjoy other activities such as fishing and diving. There’s always the best time for everything and kite surfing at Quirimbas is most rewarding in winter from April to August as the South Easterly monsoon winds (Kusi winds) are in full force. These blow for several days at a time and at an average of around 20 knots. 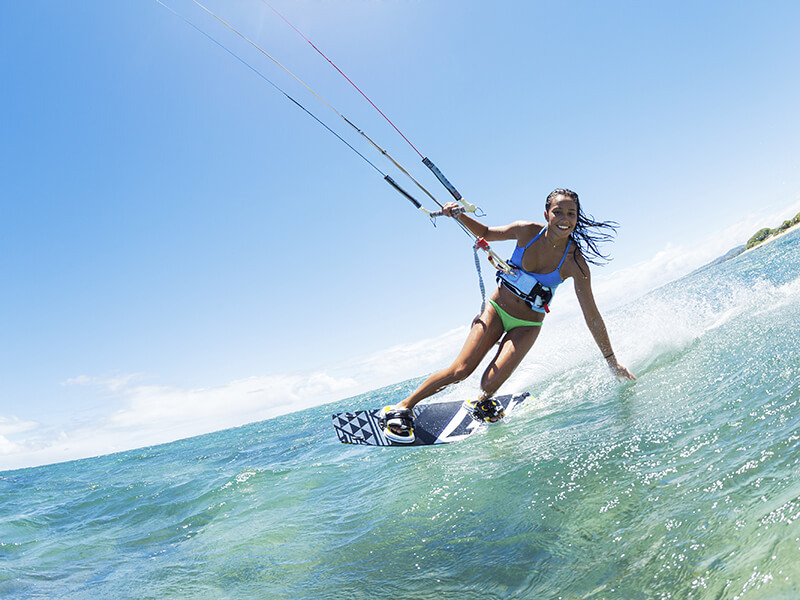 The other thing is that the ocean around the islands offers crystal clear flat water, and this makes it ideal for both novice and seasoned kite surfers. Add to that the fact that water is constantly warm and the air temperature ranges between 28 – 30 degrees Celsius throughout the year and you’ve got yourself the perfect spot to spend time in the surf. So stop waiting on the fence and book this exciting adventure holiday with the Mozambique Travel team. Our friendly and professional consultants are more than happy to tailor your kite surfing safari according to your specific requirements. With all camping and catering equipment plus a dedicated crew supplied to you, all that’s left is for you to pack your kiting gear, reef shoes as well as a short wet suit for those winter chills and head to the remote Quirimbas Archipelago for a memorable holiday experience.